Originally designed in 1913 by Roger Fry, the founder of the Omega Workshop; a group of artists in London dedicated to designing & producing artistic furniture, accessories & interiors in bold modern designs & colours. Both in shape and colour they looked forward to the coming Art Deco style (especially the stepped bases & fasceted tops). 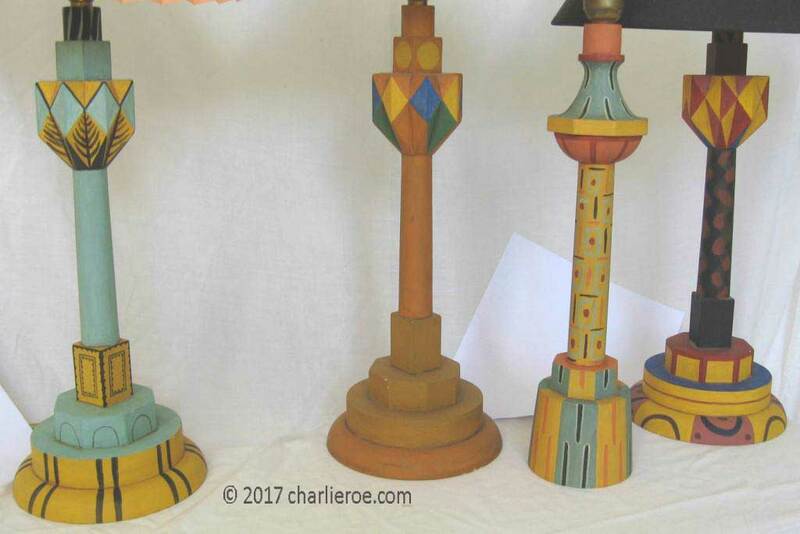 The influence of Cubism from Europe is evident in the style of these lamp bases. The 6 sided pieces near the top are especially difficult to make; they are mitred and 6 sided. And to complicate matters even more they are then hand carved to creates highs & lows, almost like cutting a large diamond! Each of the 36 facets is then painted a different colour as well! 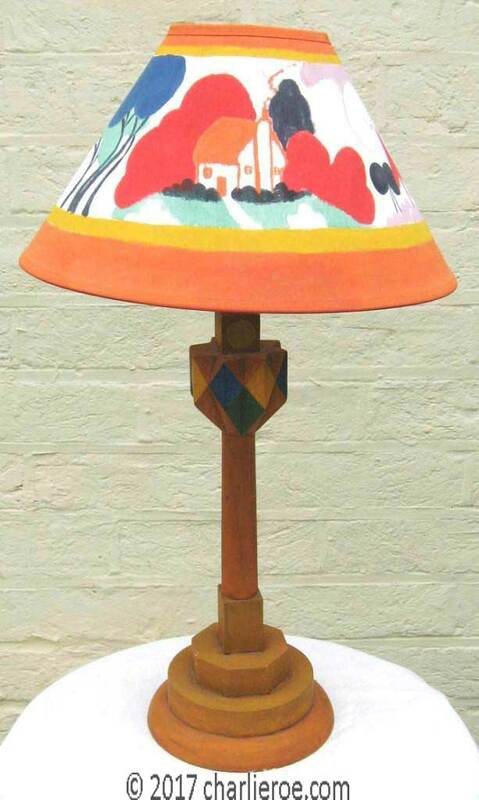 The bottom RH photo shows one of the lamps with a Clarice Cliff painted lampshade. More information on this is shown on the Clarice Cliff page. This does make them expensive to produce, but visually very interesting. Made to order. Art Deco lamps Omega Homepage Contact Us for a quote or more information.